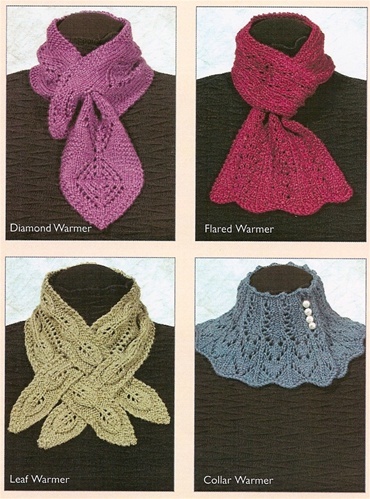 One-Ball Warmers knitting pattern by Fiddlesticks knitting. These little one-ball neck warmers make perfect gifts. In each case only one ball of yarn is required, so they are inexpensive and quick to knit. With this variety of styles you could create a whole wardrobe of them! Wear them under coats or jackets, or as an accent over blouse or sweater. Each neckwarmer takes 1 50g ball of sport weight yarn (about 115 yards).